Besides the rest of our regular reads, we are continuing on this year's Bluebonnet Award nominees. Not a Texan or don't know what the Bluebonnet Awards are? I've got the long version of it in last week's post. This week, we continued our list with two more Bluebonnet selections. 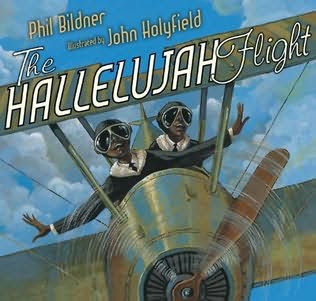 The Hallelujah Flight by Phil Bildner is the story of the first African Americans to fly from coast to coast in the US. They were nicknamed the flying hobos due to their old rundown plane, and they flew from stop to stop depending on the generosity of others during the Great Depression. All three of us enjoyed this one, especially tracing the journey maps in the back of the book. 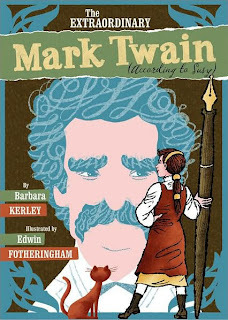 The Extraordinary Mark Twain (According To Susy) by Barbara Kerley is a biography of the writer, with the notes coming from a journal kept by his daughter, reflecting what she wanted to share about her father. Faith and I liked this one, it was too long/serious for Ben. I asked F&B to nominate their favorite non-Bluebonnet books this week too! 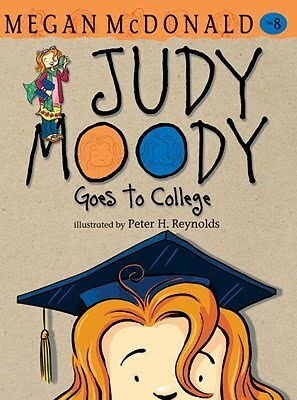 Faith chose Judy Moody Goes to College by Megan McDonald . Her favorite part was that, when Judy went to the college, her art was hung up and she won the first place ribbon. I haven't read this one, so that's about all I know on the book. Ben's pick was Dragon Pizzeria by Mary Morgan . His favorite part was the guy who cooked all the different kinds of fairy tale pizzas. I read this to him, the dragons run a pizzeria in fairy tale land and have to make all sorts of funky pizzas for the fairy tale characters. And, in case you were wondering what I'm reading, I just finished an advanced copy of Caleb's Crossing by Geraldine Brooks . 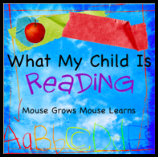 It's a great idea to have kids nominate their favorite books! Dragon Pizzeria sounds very good!